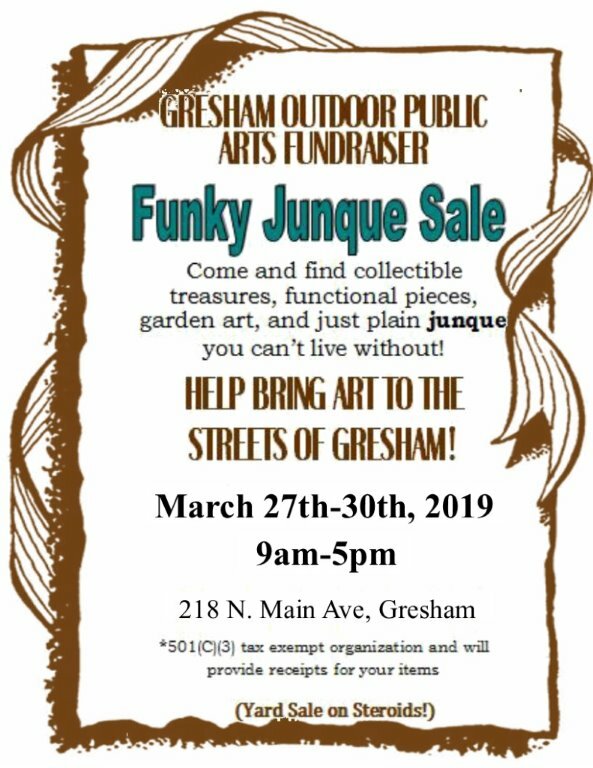 Sunny Han’s continues to support wonderful local events in Historic Downtown Gresham - like the Gresham Arts Festival! 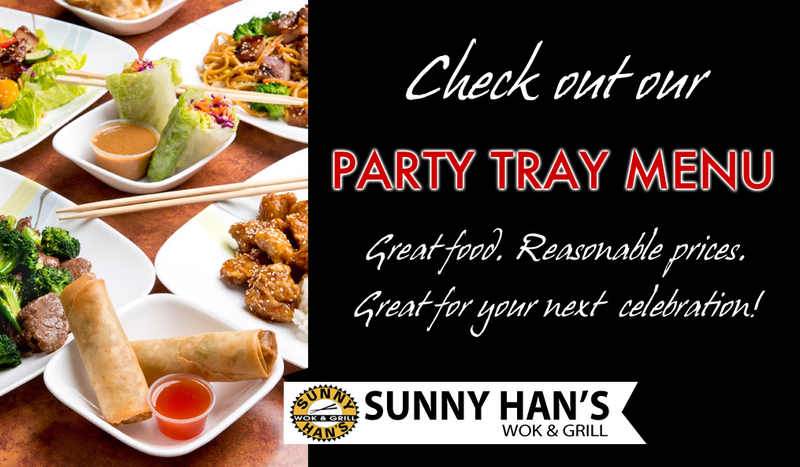 Take Out & Party Trays! 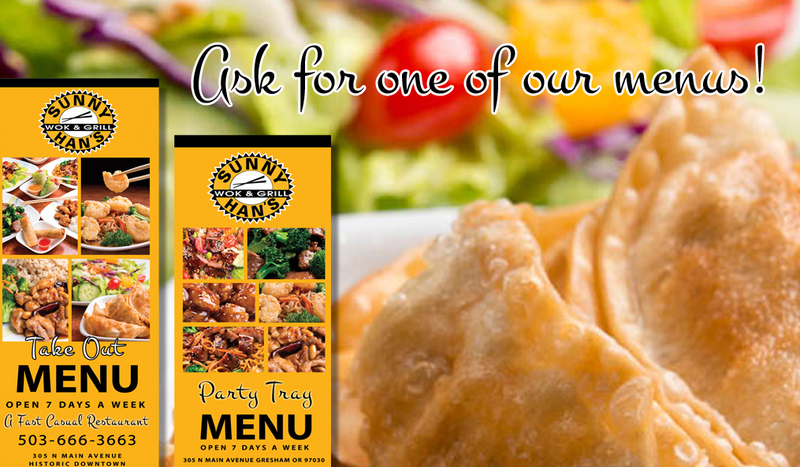 We offer an excellent take out menu for our guests on the go. We also have a wonderful party tray and catering menu! 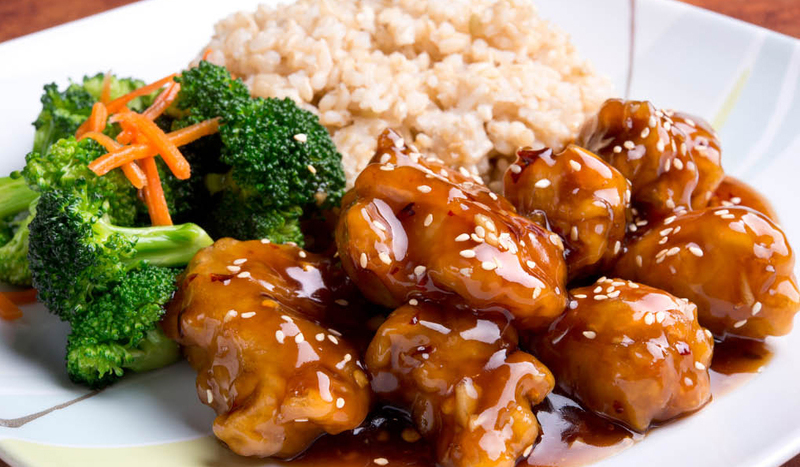 Try our Orange Chicken. 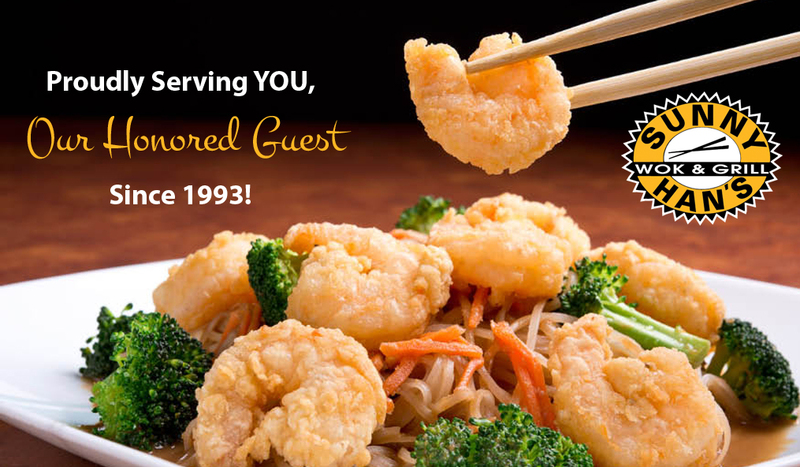 A customer favorite it is lightly battered pieces of chicken tossed in a warm tangy orange sauce. 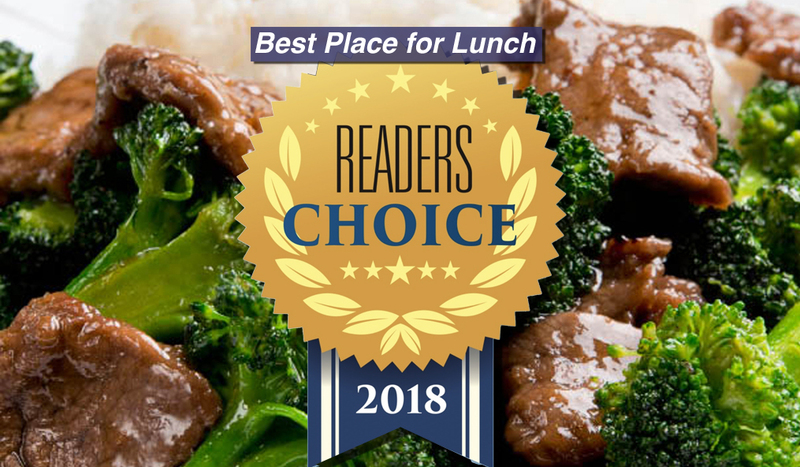 Outlook's Readers' Choice Award for "Best Place for Lunch" in 2018 among many others over the years!